International flights at Kansai International Airport partially resumed Saturday following the closure of the main gateway to western Japan after a powerful typhoon hit the area earlier this week. The first flight -- operated by All Nippon Airways -- took off for Shanghai. 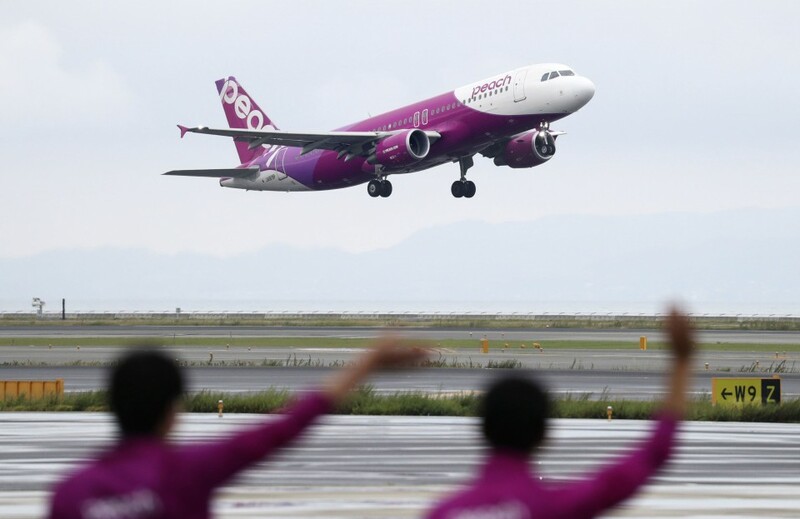 It is not yet known when Japan's third-largest airport, which is located on a manmade island in Osaka Bay, will fully resume international flights. A total of 14 flights -- 12 by low-cost carrier Peach Aviation and two by All Nippon Airways -- are expected to depart from and arrive at the airport on Saturday. Peach plans to resume flights to Hong Kong, Seoul, Busan, Taipei and Shanghai. Long lines at airline counters were formed from early morning. 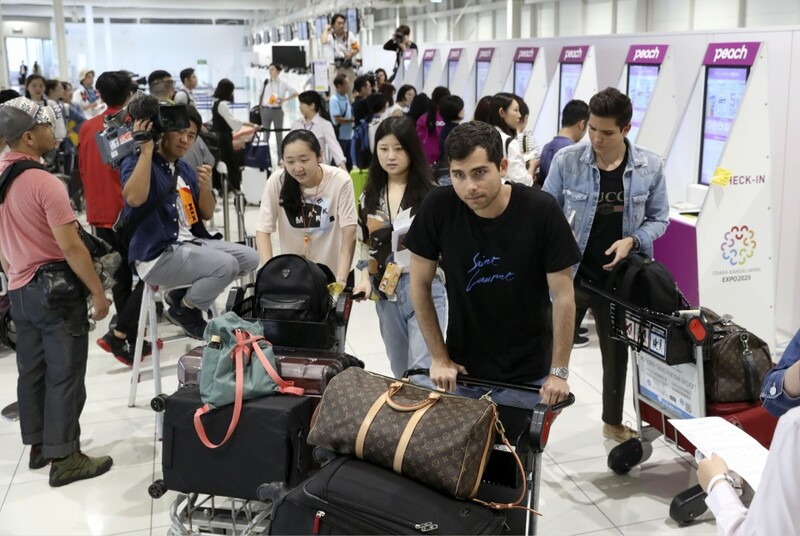 A 36-year-old Chinese exchange student on a waiting list at a terminal building expressed his frustration at the lack of information about resumption of flights. He said that Japan must convey the proper information to foreign nationals given that it is boosting efforts to attract foreign visitors. The airport resumed domestic flights operated by Peach Aviation and Japan Airlines on Friday. An estimated 8,000 people, including airport staff, were stranded at the airport at one point. The airport has been increasingly used by foreign passengers, particularly those from China, South Korea and Southeast Asian countries, as it has been expanded for budget airlines. In fiscal 2017 through March, both domestic and international passengers hit a record 28.80 million, according to data released by the operator. Only one of the two runways is currently in operation, with the other flooded by Typhoon Jebi, which cut a swathe through the region Tuesday. The airport has seen growing numbers of travelers from elsewhere in Asia, with around 80,000 passengers using the facility on an average day. In addition to the flooded runway, the bridge that links the airport to the mainland was damaged after a tanker smashed into it after being ripped from its mooring by strong winds and high waves. The operator has reopened undamaged lanes of the bridge, which provides the only road and rail access to the airport, to designated vehicles including buses operating between the airport and cities in surrounding areas.